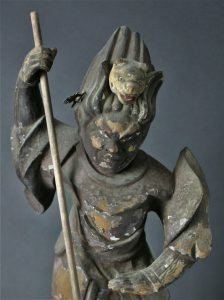 Mid Edo around 1750 He wears a Tiger in his hair. 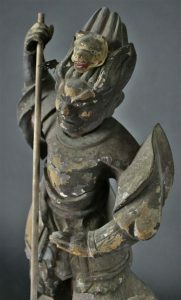 Missing a part of his foot and headpieces. 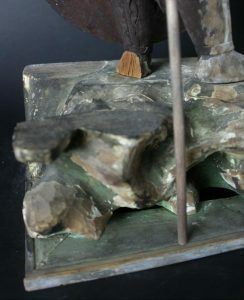 He holds a pole but I did put the pole there to give the statue its balance. 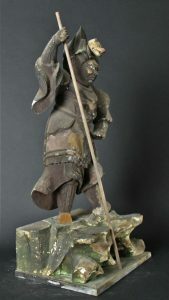 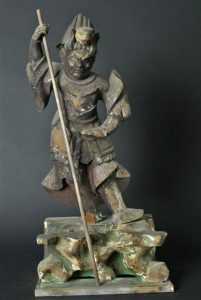 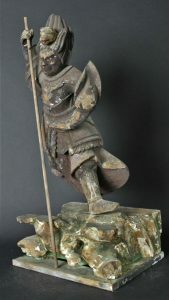 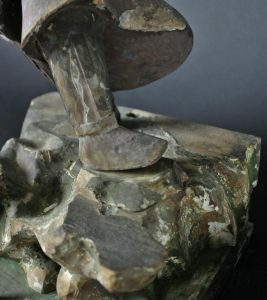 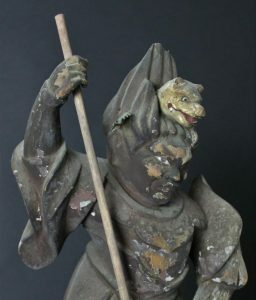 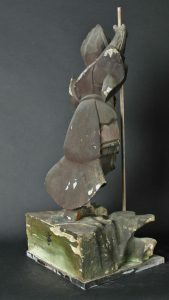 This statue is one of a pair with Shotora Taiso. 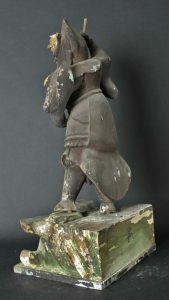 For its age in reasonable condition. 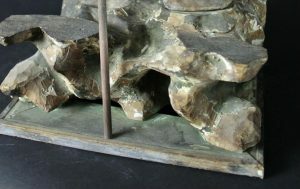 Even parts are missing they have a exceptional grandeur.